230v MMA/DC TIG set capable of welding up to 3.2 electrodes and comes with a 5yr warranty* *subject to product registration. 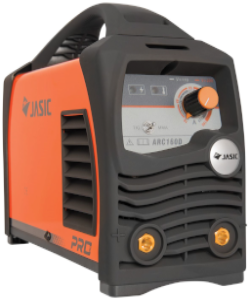 The Jasic 400P is a 3ph 415V DC pulse TIG/MMA inverter with VDR function. TIG 5-400amps MMA 30-400amps @50% and comes with TIG torch and adaptor gas regulator work return lead and clamp trolley and water cooler. The R1500 provides fast response and current regulation for high-quality and reliable welding characteristics. This portable and versatile unit is available in single or dual-voltage versions, and is a user-friendly machine enabling superb MMA performance with all electrode types, with an excellent 100% duty cycle at 40deg C! 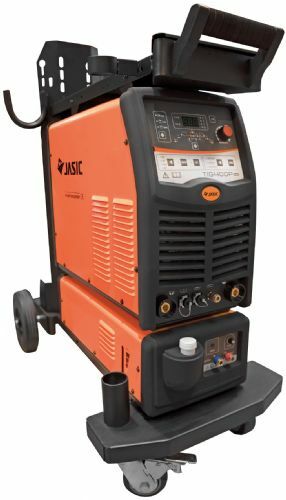 This Jasic TIG 180 DV combines striking style with simple operation 230V or 115V highly advanced electronics. 115V 10-120amps @35% 230V 10-180amps @40%. A range of TIG machines for welding carbon steels, stainless steels and aluminium, available in 230v or 110, or both, with a smart technology, and of course 3phase.